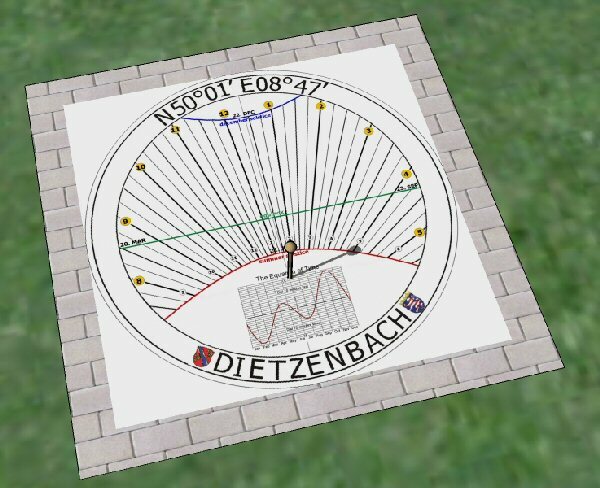 Cordt Machen from Dietzenbach in Germany designed a modified "Earthdial", using Shadows 2.2. I made a virtual dial model in SketchUp for him, to check the shadow's gnomon at the Summer Solstice. Herr Machens is now going to make the real thing for his garden !. and see how you can manipulate the model and see the effect of changing day and time.